The third installment of True Music Hybrid Sounds saw us bringing the most experimentally creative show in our long history with Boiler Room. We hit up Sao Paulo with a phenomenal line-up that included techno heavyweights, local heroes and a host of electrifying live performances from Brazil’s thriving creative music scene. To think of Sao Paulo is to see the of the term Concrete Jungle come to life. A city defined by the grey high rises of offices and apartment blocks that seemingly stretch out to the horizon and beyond. But when the sun goes down, well, that’s when things really start moving. There’s a serious dedication to setting new standards for what’s considered a good party in Sao Paulo with the local club circuit regularly putting on frenetic and creative nights, outdoing each other with innovative mixes, lighting design and sound systems on a weekly basis. It was a challenge we welcomed with open arms and saw us bring in a line-up perfectly designed for the dancefloor and beyond. rRoxymore’s music is an intriguing, one-off blend of contrasting textures – organic and synthetic, icy and warm – a fresh step in dance music. The French musician and producer has a long history making music in various ways, with various people, before settling in Berlin and concentrating on the solo project that refines it all. 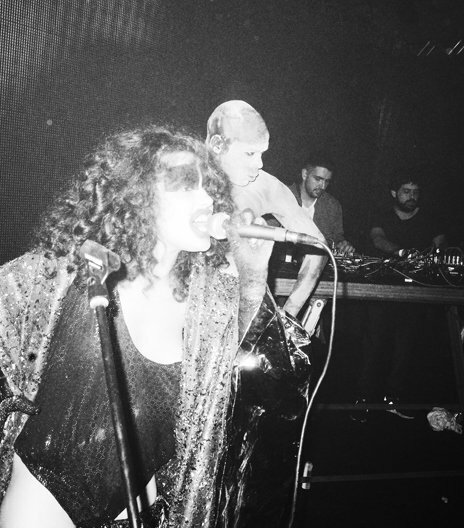 As rRoxymore, she released her epic 10-minute debut “Wheel of Fortune” in the summer of 2012 – half of split a 12” with Planningtorock on the latter’s own Human Level label. Human Level also provided the outlet for rRoxymore’s first EP, Precarious/Precious, the following year. The four tracks combined nervous grooves, bewitching cosmic synths, twisted snippets of acoustic instruments and other intriguing sounds. Live, rRoxymore creates rhythms and sounds with energetic rawness merging with a stirring psychedelia, taking you into a new world. With her reputation now intact, rRoxymore quickly found new friends and allies in the vast musical landscape of Berlin. Regular sets (both live and DJ) at local favorites like About Blank and Panorama Bar accompanied gigs all over Europe and jaunts to further reaches. 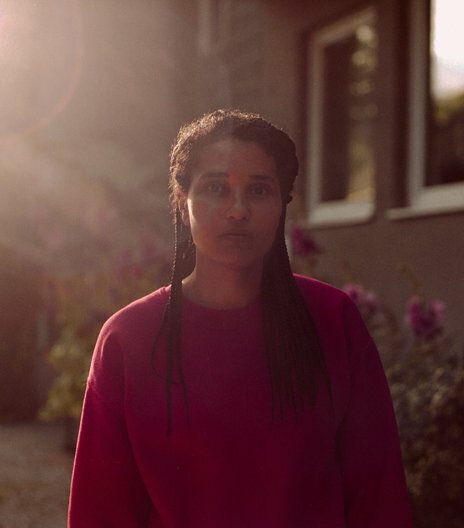 Recognized as an artist with future-oriented ideas in a musical capital, she has been presented abroad as part of the Berlin Current initiative – presented by CTM Festival, Berghain, Boiler Room Berlin, The Quietus and others. 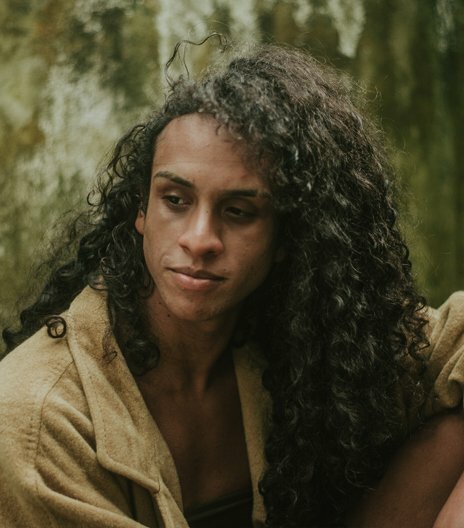 Teto Preto is a product of the intersection between the Brazilian music's culture and the electronic scene that occupies the streets, clubs and festivals in São Paulo. The result is a complex and explosive sound that contemplates a wide range of styles and music practices. Through a repertoire of original compositions, collages and improvisations, the band explores themes like the female body, politics and oppression, approaching them with a vertiginous gaze. The group's first EP, "Gasolina" (2016), also marked the birth of MAMBAREC, Mamba Negra's music label. The group’s vocals alternate between ethereal and percussive, stabbing and caressing the audience with sharp words, while the drum machines, percussion and synthesizers estabilish a solid and infectious pulse, evoking the syncopated feel of the brazillian culture. This wild mixture generates a rampageous yet seductive sound drawing from influences as diverse as industrial music, no wave, krautrock, jazz and popular brazillian music. In 2017, the band plays important festivals, such as Rec Beat (Recife), DGTL (São Paulo), Bananada (Goiania), CCBB Música e Performance, SP na Rua and at MASP's 70th birthday. Amidst the current political chaos, the group starts this year focused on the release of it's forthcoming LP while still playing important gigs such as Dekmantel (SP), Rider Dá pra Fazer (RJ) and obviously, the Mamba Negra parties. A multimedia gay trans artists, MC Linn has been using music as powerful weapon in the fight for the breakdown of sexual, gender and body paradigms from her debut in 2016. She crowdfunded the production of her debut Pajubá in 2017. Defined by Linn herself as an afro-funk-vogue record, Pajubá draws from music trends across the world, as well as staying true to Brazilian funk. Derrick Carter is widely acknowledged as one of the best DJs in the world. With innovative productions, flawless technical skills and an effortlessly joyful attitude of rocking a crowd, his influence has infiltrated throughout the spectrum of dance music. 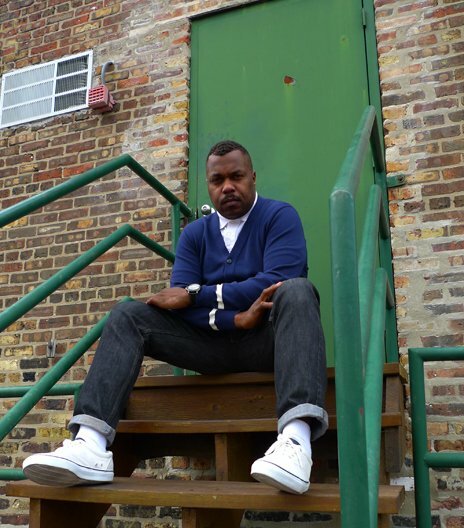 Although known as one of the key players of Chicago's house music wave in the '90s, Derrick Carter began DJ'ing at the age of nine, spinning disco records at family reunions. Raised in the western suburbs, Derrick was into music from a young age; during his teens Chicago's house scene sucked him in for good and before long he became a strong presence in the city's underground dance scene. Derrick's sets are rooted in house, but he freely travels outside conformative club tastes, seamlessly incorporating old-school disco, soul, jazz, and whatever else catches his fancy to jack the beat and rock the party. By refusing to accept conventional standards and instead choosing to simply do his own thing he has built a worldwide reputation as one of the underground pioneers, becoming a major celebrity among dance-music aficionados. In 1988 Derrick, fellow DJ Mark Farina, and friend Chris Nazuka released an EP as the group Symbols & Instruments. The record had a strong influence on the burgeoning ambient techno movement in England. While it wasn't a commercial success, it established Derrick as an international figure in the underground dance-music scene. Since then the pioneering, innovative tracks and consequent critical acclaim have marked Derrick out as one of the most important players in dance music - most notably through his releases on Classic, the label he founded with Luke Solomon. The first artist signed to David Byrne’s influential label Luaka Bop, Tom Ze’s influence on music has been decisive both in his native Brazil and internationally. A songwriter, multi-instrumentalist, and composer he was one of the most vocal artists in the Tropicália movement of 1960s Brazil. A typical Tom Zé show is part musical performance, part stand-up comedy, and part lecture on anything ranging from the history of counterpoint to the pitfalls of globalization. He likes to call his music imprensa cantada—sung journalism. Heavy doses of social and political satire have permeated his songs ever since he began composing tongue-in-cheek ditties about life in Irará. In his very first televised performance, in 1960, the twenty six year old appeared on a talent show in Salvador called Escada para o Sucesso (The Stairway to Success) only to sing a ballad called “Rampa para o Fracasso” (The Ramp to Failure), revealing a penchant for irony and self-deprecation. This was the era of bossa nova, a cool distillation of samba, which is not particularly noted for its ironic or satiric sensibilities. First up was Berlin-based producer rRoxymore, known for her ability to oscillate between classic house and psychedelia-tinged techno who collaborated with electro group Teto Preto. 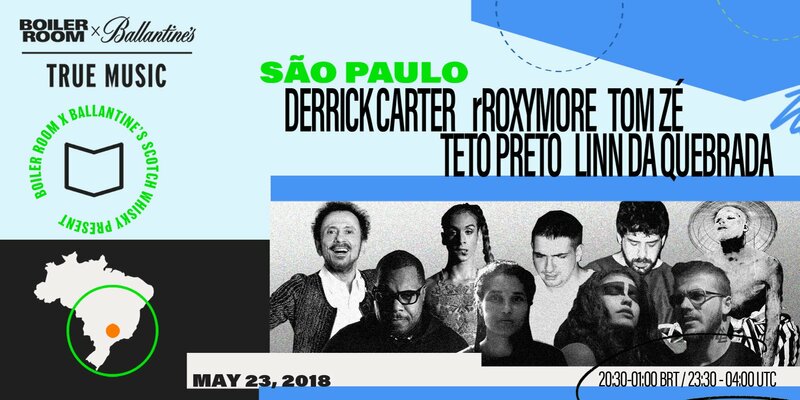 Joining rRoxymore and Teto Preto in the line-up is the hugely influential Brazilian songwriter, composer and multi-instrumentalist Tom Ze, whose contribution to the 1960s Tropicalia movement has made him one of the most sampled artists in Brazil today. Other performances come from singer, songwriter and LGBTQ+ activist MC Linn and finally, Chicago house legend Derrick Carter bringing the night to a raucous end.